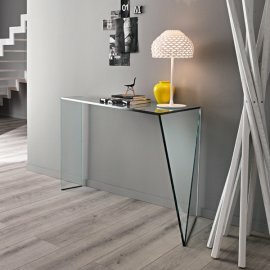 Unique, beautiful and utilitarian—these are common characteristics of Tonelli console tables. 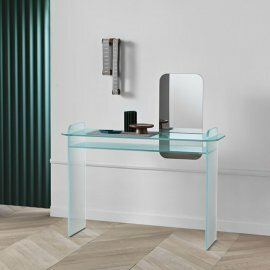 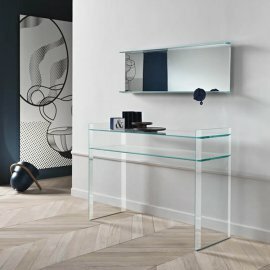 Every Tonelli design is eye-catching: there are irregularly designed console tables, dual-purpose glass tables with some complemented with marble or ceramic tops. 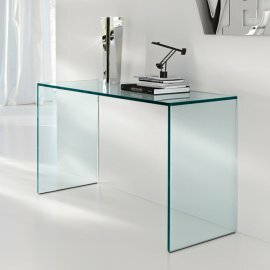 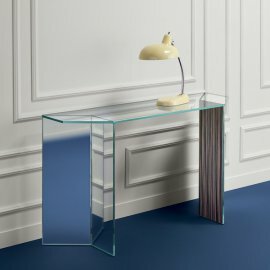 Glass console tables are made of transparent and extra clear glass. 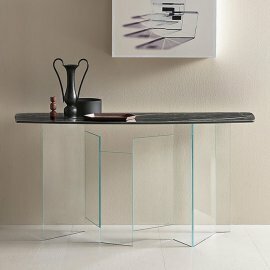 The brand’s innovative console tables are great accent to any corner of the house. 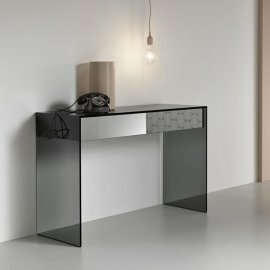 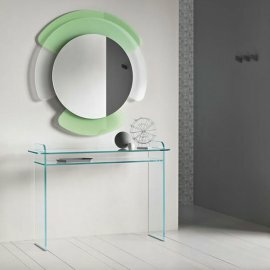 The highly contemporary and unique console tables are functional, too. 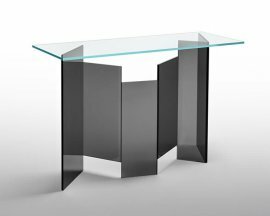 They could be used as display tables or even writing tables.